Dublin has some amazing festivals to offer in 2018. They’re always a lot of fun and perfect if you want to spend a nice day outside and to experience something new. Each one has a different topic in this list and I’m sure you will find one that you want to take part in too! Probably the biggest festival in Ireland and you won’t have any chance to get around it. It was established in 1995 and is a national festival to show what Irish people are like and to showcase which talents they have on the biggest public holiday in Ireland. They will be parties all around Dublin and you will see fairs, parades, storytelling, concerts, light arrangements, street carnival and exhibitions. The parade on Saturday the 17th will be the biggest event. It will start at 11am and you can admire street theatre and carnival, international bands and circus arrangements. Moreover, there will be independent events in the whole city like parties. The festival takes place from the 15th to 19th May 2018. The best thing is that nearly everything is free, besides some concerts! Go out, have fun and celebrate St. Patrick´s Day like a real Irish! To get to know every event visit their website. Since 2006, the Temple Bar Tradfest is Ireland´s largest traditional music festival. You will find different kinds of concerts in some unique venues like St. Patrick´s Cathedral, Dublin Castle or Dublin City Hall. Furthermore, there will be exhibitions, films, workshops, and music trails informing about traditional music and offer to immerge into the world of traditional Irish music. It will take place from the 24th to the 28th January 2018. For some of the concerts you have to buy tickets, but some are for free as well. The Indie Beer Week celebrates Irish Microbreweries all around Ireland. The breweries will open their doors for tours, tastings, music, food and many more. Local independent Irish breweries from Dublin that participate are Rascals, Jack Smyth´s and Porterhouse. The full program will be announced in February. 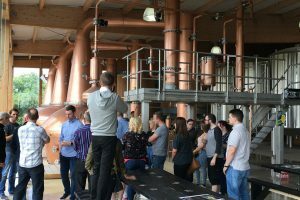 Some breweries are totally for free or you have to pay a cheap price for a tour. The festival is going from the 23rd June to the 2nd July 2018. This international group plays the show in various countries around Europe. 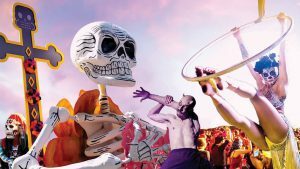 The show involves carnival-esque pageantry, giant skull processions, acrobats, dancers and decorative art & costumes. There will also be a DJ who plays live music, face painting and light shows. The venue will be announced in short time. This festival takes place on the 13th April from 10pm to 3am. You can get Early Bird tickets from 17€ to join this party full of madness. If you like vegan food, you must go to this festival. 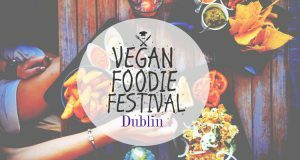 In various restaurants you will get a discount on vegan food and there will be also other events with amazing vegan food and information about this special kind of food. Many local businesses are taking part and they basically try to introduce people to the vegan food as well as to try raise awareness for this kind of diet. The festival is totally free and you can visit it from the 19th to the 21st January 2018. The festival was established in 2003 and shows a program with international films, classics, independent films as well as Irish films. 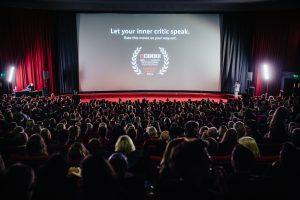 Different cinemas all around Dublin function as a venue for these amazing films and there will also be workshops, talks, conferences, exhibitions and an award ceremony. Moreover, the surprise film is a highlight in each year. Tickets for the films vary from 5€ to 20€ and you can buy tickets online. The festival takes place from the 22nd February to the 4th May. 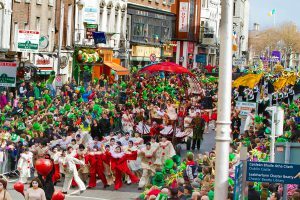 Have fun visiting these festivals during your stay in Dublin! !